We have preparation material for class 9. The English material is made in such a way that it caters to the demand of both Olympiad books for class 9 and normal school curriculum books of English for class 9. If you are looking for English Olympiad book PDF, then you can check our English notes to get a better understanding of each and every Olympiad topic of class 9. 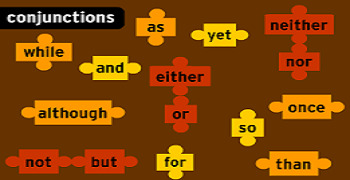 Each English topic consists of their definitions, along with their sub-topics. There are solved examples of each sub-topic. We also have practice questions for English Olympiad after solved examples of English topics. The English notes for class 9 end with a recap section, so that you can have a quick revision for the English Olympiad topic that you just studied. These free English Olympiad preparation material will help you to get a clear understanding of all the topics of a particular class for English Olympiad. The providers of English Olympiad books for class 9 may not have updated syllabus and topics. Whereas, we have updated syllabus and topics for English, along with the practice questions of English Olympiad, which you may not find in offline English Olympiad books for class 9.